For those who are looking to purchase a new car, your choices are to either take a loan or a lease. But, sadly most of the buyers out there do not even know the difference between a loan and a lease. For starters, loans are where the bank pays for the items, and you pay the bank back in installments with interest. Leases are payments you make to the leasing company who actually buys the asset from the seller, and payments are made over the lifetime of the use of that item. In loans, where the bank pays for the asset (such as a car) upfront, the amount they pay is known as the principal. In leases, you pay for the depreciation of the asset during use rather than the actual purchase price, and that is one reason why the monthly minimum payments for leases are less than car loans. There are many significant differences between both types of borrowing and can affect the decision you make for your purchase. Lease Terms & Types. Lease terms usually range from 2 to 4 years whereas loans are normally repaid in 4 to 6 years. With this shorter term and lower monthly payments for leases, anyone opting for a lease can afford to buy a new and more expensive car every 3 to 4 years. But, you are not the owner when you lease. So, in most cases, you have to give the asset back to the actual owner no matter how much you equity is still in the vehicle. That is not the case with car loans where higher monthly payments make getting new cars every few years more challenging. Costs. 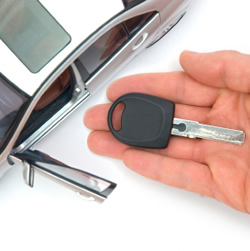 Leases sound very attractive to those who would like to purchase new cars every few years. But, every good has its bad points. Like stated earlier, at the end of the lease you would have to return the car back to the institution you leased it from. This is where loans seem more appealing. When you purchase a car with a loan, the car is actually yours. Upfront costs for leasing include a monthly payment, down payment, security deposit, taxes, and registration fees. There is also a limit to the amount of miles you can actually drive the car while it is in your possession. Monthly Payments. Monthly payments for leases are calculated by including the depreciation of the vehicle for the lease term, rent charges, taxes, and other charges. Loan payments include the total purchase price, interest charges, taxes, and other fees in its monthly calculations. The main difference with loans is that you grow your equity in the asset with every payment until a lease where you never own the car. Usually loan payments are more expensive than lease payments. There are many significant differences between both types of borrowing and can affect the decision you make for your purchase. Knowing these differences can help you make the right purchasing decision in your own personal situation.